Insurance for your home are policies that cover your home in the case of unforeseen circumstances. 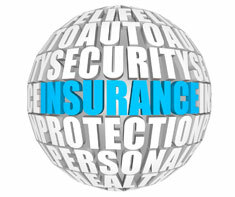 It is important that the coverages under home Insurance policies be kept up to date. Types of home Insurance coverages include circumstances such as: home damage; other structure damage; personal property losses; additional living expenses; comprehensive personal liabilities; third-party medical expenses; floods; and earthquakes. Your homeowner insurance needs a check-up from time to time to ensure that your policies are appropriately matched to your insurance needs. Shown in the 'Routine Care' section are the recommended routine maintenance tasks for your insurance. The 'Q & A' section shows answers to common questions. And the 'Articles' section provides helpful articles about your insurance.